River Place, as seen from the Peace Center amphitheatre. The falls at Riverplace , across the Reedy River from the TD Stage. Playing in a fountain in downtown Greenville. This photo was taken by Denton Harryman. A wicked umbrella as seen in downtown Greenville. This photo was taken by Denton Harryman. 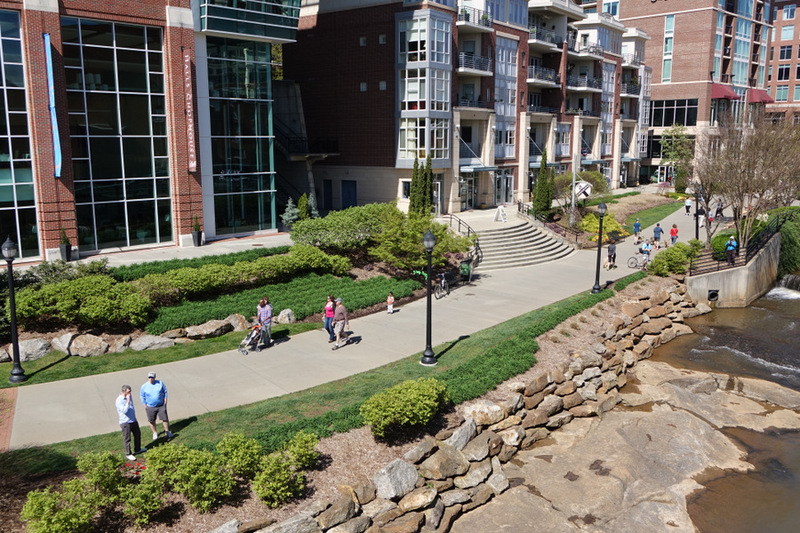 As the sign says, there is more to enjoy in downtown Greenville. PS: You may be interested to see the original photo before using PhotoShop to correct distortion caused by taking a photo looking up.